KIEV, June 8. /TASS/. President Pyotr Poroshenko of Ukraine told the students of the Taras Shevchenko National University on Friday he does not think that any kind of a Minsk format of negotiations for peace settlement in eastern Ukraine exists. He claimed that the Normandy Four [Russia, France, Germany, and Ukraine] was the only tangible format. "There is no Minsk format of negotiations and [Kiev’s plenipotentiary representative at the talks of the Ukraine Contact Group Leonid] Kuchma doesn’t take any part in the Minsk format of talks," Poroshenko claimed. "The Normandy format is the only one that exists." 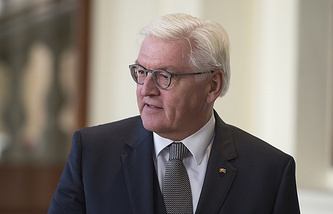 He recalled that German Federal Chancellor Angela Merkel, French President Emmanuel Macron and Russian President Vladimir Putin were his counterparts in the Normandy Four discussions. 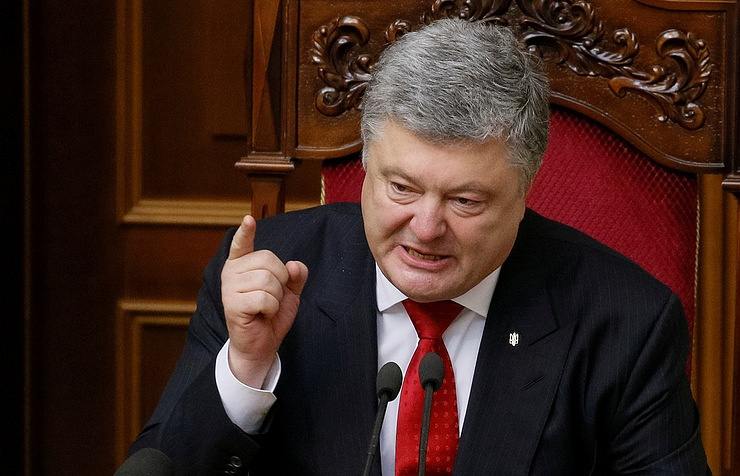 "If you find any other format of negotiations where Putin is present, I’ll be prepared to consider it but I assure you it doesn’t exist," Poroshenko said. He also claimed the Ukrainian side was holding discussions in the framework of the Contact Group only with the envoys of Russia and the Organization for Security and Cooperation in Europe [OSCE]. The Contact Group in charge of settling the armed civil conflict in eastern Ukraine consist of the representatives of Ukraine, Russia, the OSCE and the self-proclaimed unrecognized Lugansk and Donetsk Republics. The Group held its first meeting on September 5, 2014. Upon the results of the negotiations, a plan for peace settlement emerged and the sides reached agreement on a ceasefire. On February 12, 2015, members of the Contact Group and heads of the self-proclaimed republics signed a document titled the Complex of Measures for Implementation of the Minsk Accords that envisioned a ceasefire, a pullback of heavy armaments from the Line of Contact that separates the pro-Kiev units and the self-defense forces of the republics, an amnesty, an exchange of prisoners of war, and political settlement. Ukraine’s former president Leonid Kuchma takes part in the Minsk conferences as the plenipotentiary representative of the Kiev government as of 2014. He was one of the signatories to the Complex of Measures. The Normandy Four format of negotiations on Ukraine exists as of June 2014. The leaders of Russia, France, Germany, and Ukraine discussed the ways of settling of the Ukrainian conflict for the first time then during celebrations of the 70th anniversary since D-Day. The previous time the Foreign Ministers of the countries met in this format in Munich in February 2017.